Agar wood is a tree up to 40 m tall with an irregular crown. Its smooth trunk has dark to pale grey, peeling outer bark and cream-white inner bark. Its alternate, stalked leaves have thinly leathery leaf blades that are oval-oblong to oblong-lanceshaped, and 6-12 by 1.9-5.5 cm, with fine, parallel veinlets, and long tips. Its fragrant flowers are green or dirty-yellow, 56 mm long, and found in shortly-stalked, 2.5 cm-long clusters of up to 10 together. 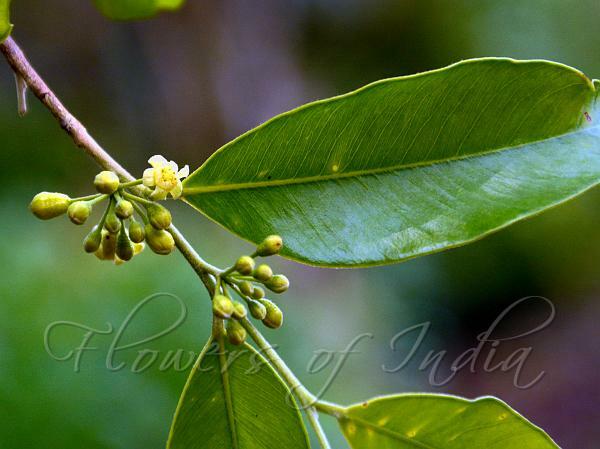 Its green fruits are flattened egg-shaped, rather woody, and 2.5-4 by 2.5 cm. Its pear-shaped seeds are covered with orange-brown hairs, and up to 10 by 6 mm, with one of its ends attached to the fruit by a twisted, stalk-like appendage. 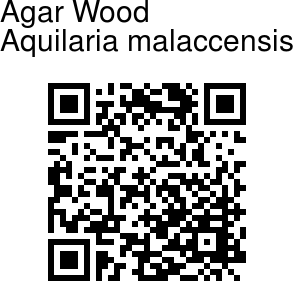 Aquilaria malaccensis is the major source of agarwood, a resinous heartwood, used for perfume and incense.